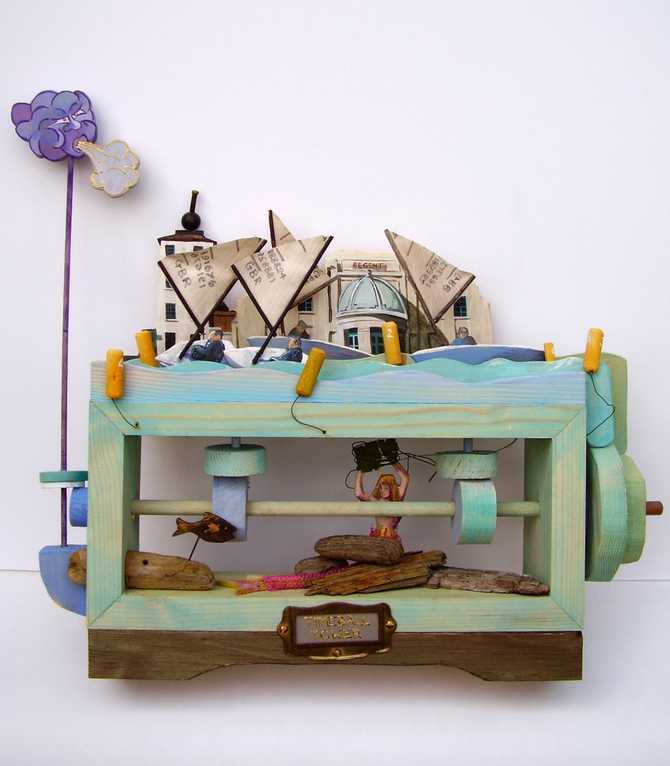 Automata with dinghies sailing, mermaid and fish moving, wind blowing and waves slapping. If you are interested in any of the artwork on the Nicki Vowls - Salty Dog Studio website, please contact me through the website to get more information, or to make an order. You can also make arrangements to visit the Studio in Deal, East Kent. You will be very welcome. All images are Copyright of Nicki Vowls and may not be reproduced without her permission.